It’s been wooly hats and gloves time at our depot recently but work has continued on our restoration projects as well as attention to some of the operational fleet. This blog focuses on two of our restorations – Royal Tiger 377 and PD2 1467. 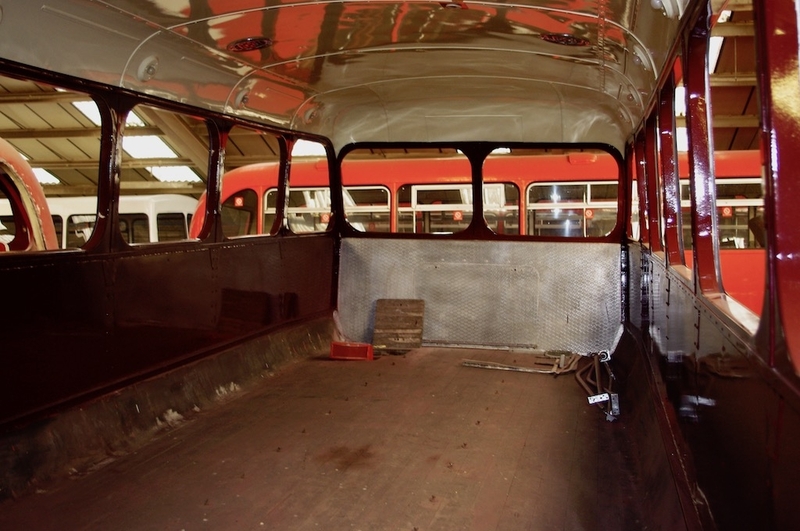 The latter has now had the upper deck interior painted which will allow the windows to be fitted in the near future. Once they are in place and the area is given a good clean the lino will be laid. On the mechanical side the various pipes and rods are being refitted prior to the installation of the engine and gearbox. 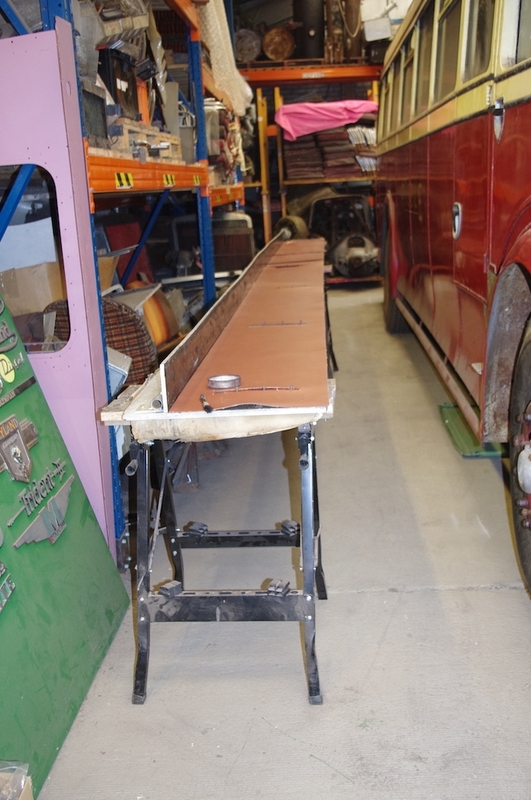 The external bodywork of 377 is now almost complete and recent work has focussed on restoring the luggage racks which had to be retrieved from donor 386. One has been fully refurbished and the other is now receiving attention. Once some internal panels have been fitted the luggage racks will be fitted.